Mercury has a complicated reputation in the public conscious, partly because there are two distinct kinds of mercury that are discussed regarding mercury pollution in general, and mercury in water. The first is organic mercury, which occurs naturally in the environment and comes from sources like volcanic activity and other natural offgassing processes. Where things get complicated — and potentially hazardous for humans — is the second kind: inorganic mercury. Inorganic mercury refers to natural mercury compounds that have been altered through industrial- or other man-made processes. These can be more harmful and appear in higher concentrations than other forms of organic mercury. 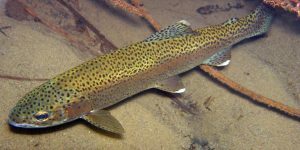 Inorganic mercury also accumulates in organisms over time, which is why mercury contamination is a concern when consuming fish and other seafood. Mercury, in either form, is a neurotoxin. So people who consume either water that’s been polluted with mercury, or fish that have consumed large quantities of mercury, put themselves at risk for neurological complications. Mercury is naturally found in the environment. However, with the advancement of industry, more and more inorganic mercury has found its way into aquatic ecosystems through mining as a byproduct of coal-fired power plants and other manufacturing that uses heavy metals. Mercury can also be introduced into water systems through improper waste handling. For example, batteries and other forms of electronic waste can leach mercury into water. While some amount of naturally-occuring mercury in water is normal and not detrimental for consumption, the EPA has set the maximum level of mercury concentration for safety at 0.002 mg/L or 2 ppb (parts per billion). The concern with mercury is that — much like lead — it can be nearly impossible to detect in your water. With no obvious smell or taste, most of us rely on our local water municipality to monitor mercury levels and alert us if there’s a problem. If you do have concerns about mercury levels in your water, you can find home water test kits that will identify the levels of dissolved mercury, or you can have your local Culligan Man test your water for free to see if either mercury, or any other contaminants, are present in your home’s drinking water. If you find that you have higher-than-average mercury in your water, or you live in an area that might be higher-risk (homes using well water near agricultural areas may be more susceptible to mercury contamination, for example) there are several effective options to ensure your water is safe to drink and use around your home. Filtering your water is a great start to ensuring its safety, however, not all water filtration systems are designed to address specific contaminants like mercury. In order to be effective against mercury pollution, you’ll want to make sure the filtration system you choose uses either reverse osmosis or mircron filtration technology. A simple water softener, for instance, won’t help protect you from mercury contamination. Your local Culligan Man can both test your water, and make recommendations for effectively treating mercury in water, so you can rest assured you’re protecting your home from the dangers of mercury poisoning and pollution. 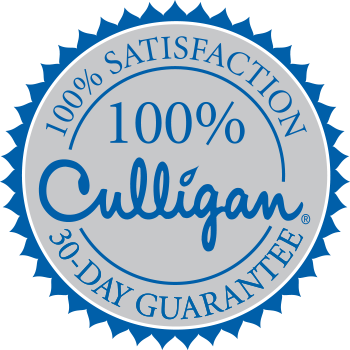 Schedule a complimentary water test today by clicking FIX MY WATER above, or call your local Reynolds Culligan today!